Sebastopol football club SCCF wants to finish the certification procedure in the Russian football Union (RFU) to 8 August. About This journalist said the club’s chief Executive, Alexander Krasilnikov. last week the clubs of the Crimea and Sevastopol were allowed to participate in Russian competitions In the 2nd division. August 8, these clubs will start in 1/256 of the Cup of Russia. 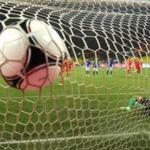 SCCF play with a «Pearl» (Yalta), and TSK (Simferopol) with FC «Sochi». «Today We started to pass the certification procedure. This is done in an extremely short period of time, but one day execute all documents impossible. Still, the first time We are doing This in accordance with the Russian legislation. On August 8, we appointed a meeting of the Cup of Russia, We must be ready for this date. Will day and night to work and all the time,» said Krasilnikov. the club head has noticed that At this time he is more concerned with the problem of recruiting football players, rather than the procedure of attestation.» Ukraine has announced serfdom on players, drew attention to it.- This is caused by citizenship. They have a Russian passport, but in the TMS (Transfer Matching System — International online system for players controlling agreement between the clubs.- Approx.) they are as Ukrainian footballers. FIFA and UEFA need to understand the situation, because in this situation the players are denied the right to work and earn money. We will take players to ensure that not We’ll throw them on the street. But to play even at the level of the second division they will not — they will need to compete in the championship of Crimea. In this issue We rely on the support and assistance from the RAF».